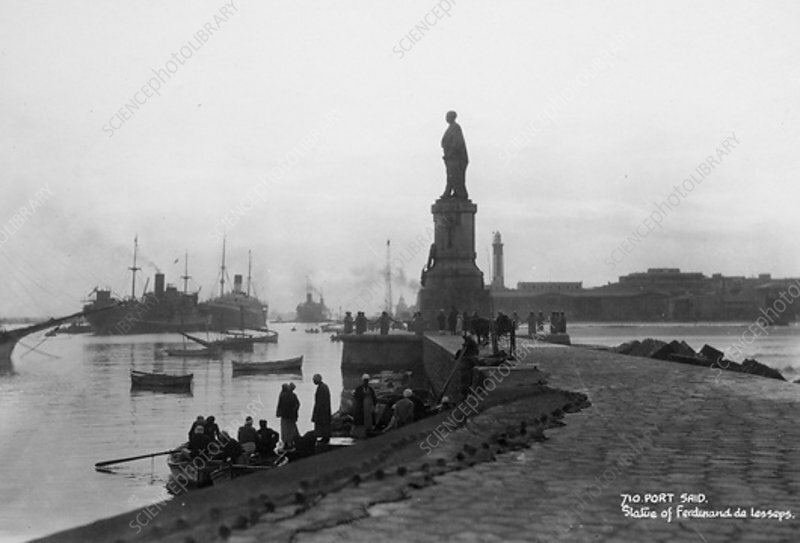 Statue of Ferdinand de Lesseps, Port Said, Egyp. A French diplomat and entrepreneur, de Lesseps (1805-1894) built the Suez Canal to enable shipping to pass between the Mediterranean and the Red Sea rather than having to sail around the Cape of Good hope, completing the project in 1869. In 1880 he then went on to make the first attempt at building a canal to link the Atlantic and Pacific oceans across the Isthmus of Panama. A combination of the difficult terrain, a horrendous mortality rate amongst the workforce from tropical diseases and spiralling costs led to the abandonment the project in 1889 however.